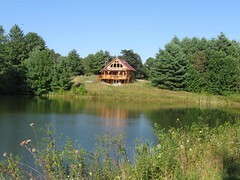 We just had a beautiful weekend up here at Meadows of Dan. Fall colors may have peaked, but now we're into the lingering, somber colors of the aftermath with the more translucent forests and rustling leaves. Another busy weekend coming up with the Meadows of Dan Pancake Days on it's second round Sunday, Oct 22 (See notice in previous blog posting). Come see us !! 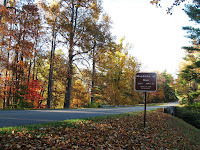 Blue Ridge Parkway at Meadows of Dan interchange at US 58 -- just 1 mile south of Mabry Mill -- a popular, well-known landmark along the Parkway. 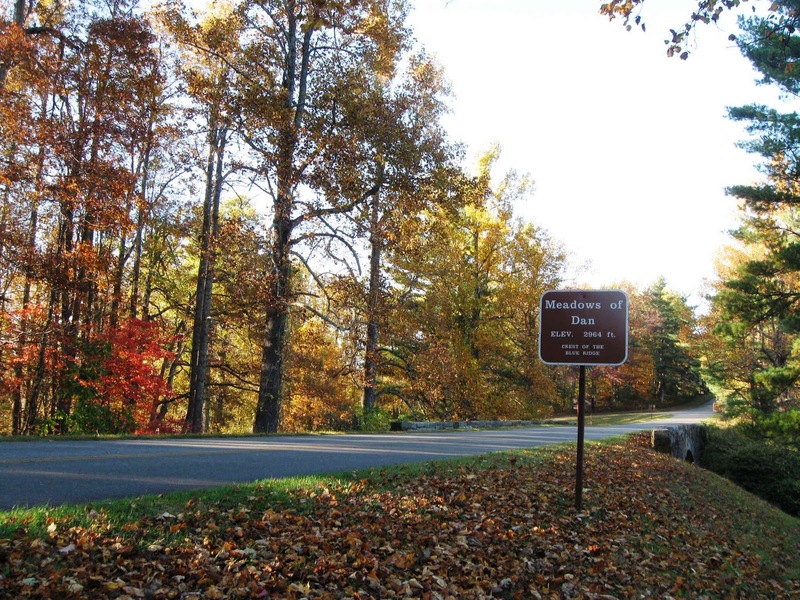 The Rocky Knob Recreation Area with spectacular views and hiking trails is just a few miles to the north. 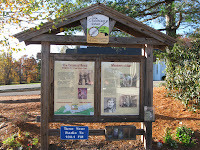 The reknown Chateau Morrisette Winery is located just off the Parkway enroute. 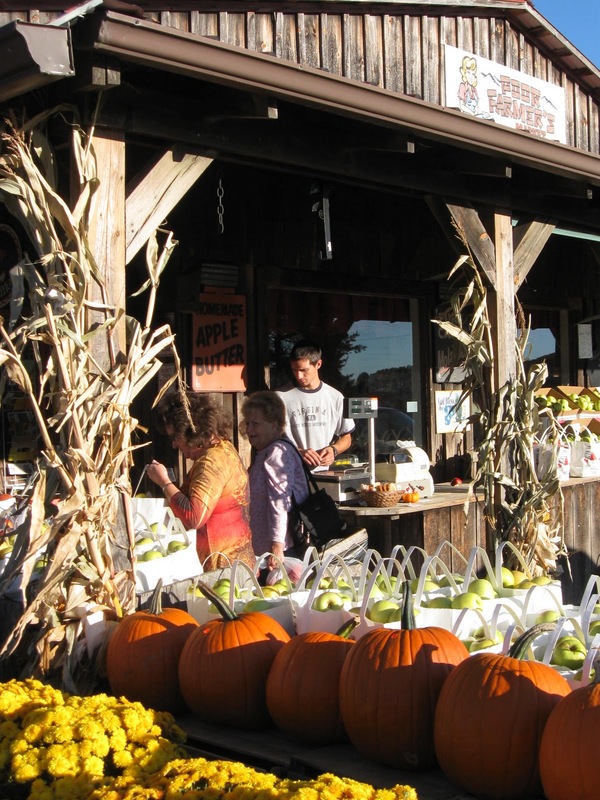 Poor Farmers Market sells seasonal produce, local food specialties, and gifts. It's typically the busiest place in Meadows of Dan on autumn weekends. You can fill up with gas, get deli lunch, and sit out and relax on the sunny porch. 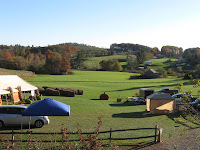 Mountain Meadows Farm and Craft Market sponsors a festival ground on the "meadow" -- complete with a pick-your-own pumpkin patch and corn maze. 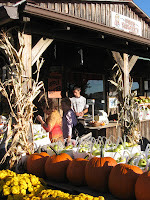 The nearby shop sells a large variety of crafts all made by artisans from the area, as well as local, seasonal produce. 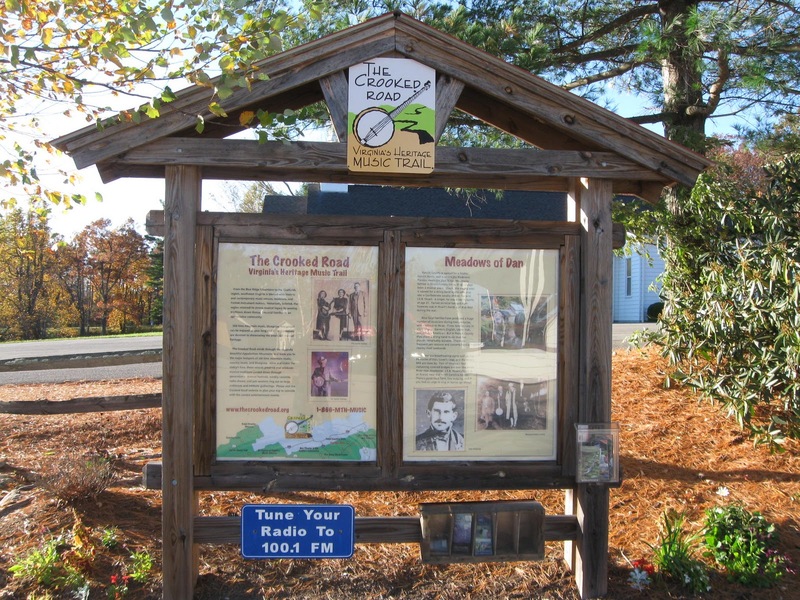 The Crooked Road -- [Virginia's Music Heritage Trail] passes through Meadows of Dan as it winds it's way from Stuart and Floyd and onward to Hillsville. Blue Grass music by local groups can be heard on weekends at Millhouse Pizza at the nearby Cockram Mill Complex, at the Country Store in Floyd, as well as other local venues.